Add the maple syrup, brown sugar, and Pom juice to a small saucepan and heat over medium heat until the brown sugar has dissolved. Set aside. 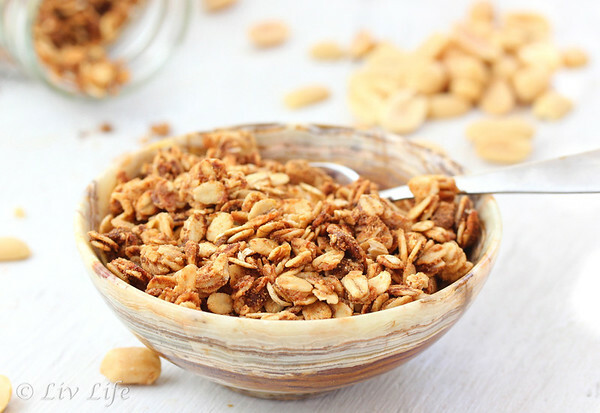 In a large bowl, add the oats, flax, and whole almonds and mix to combine. Sprinkle with the cinnamon and salt, mixing again. Pour the maple syrup mixture over the oats and add the egg white. Mix well to combined. Spread the oat mixture evenly onto a prepared baking sheet and bake (stirring every 10 minutes or so) for about 30 minutes, or until golden brown. 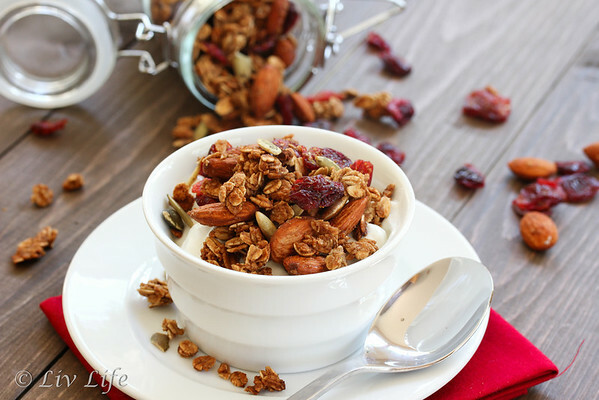 Remove granola from the oven and pour into a large bowl. 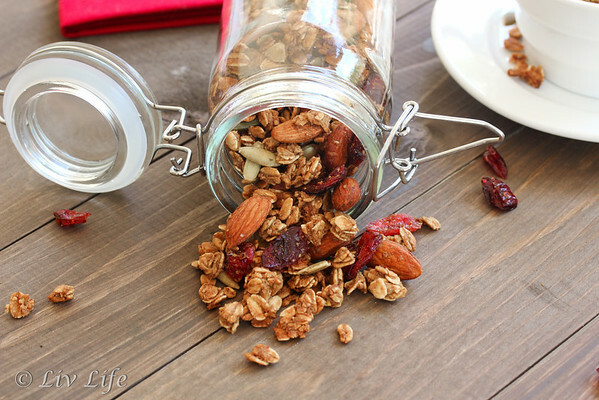 Immediately add the dried cranberries and pepitas and stir to incorporate. Cool completely. 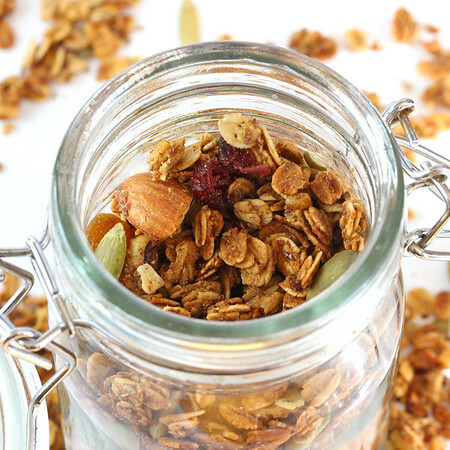 Package granola into airtight containers. Most granolas recommend using within a week, but we have had ours for up to 2 weeks and still enjoyed the crunchy goodness. Liv Life Note: My favorite way to eat this crunchy version is over Greek Yogurt and topped with fresh pomegranage seeds. 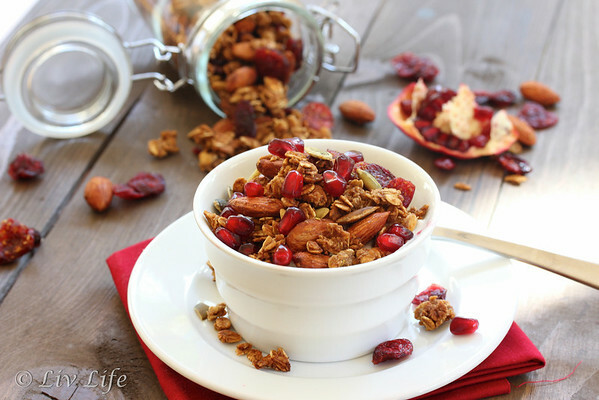 A nice gift would be a package of the granola along with a fresh pomegranate tied in a dish towel. This looks lovely enough to go under our tree! Have such a merry Christmas Kim. Enjoy every minute! Wow! 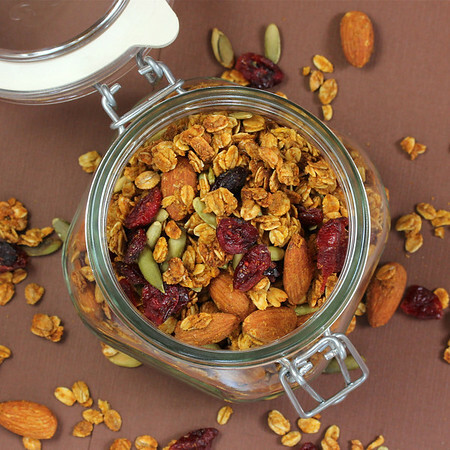 Look at all that granola! I have made your pumpkin granola and it is excellent!! Happy Holidays to you! I did not over-indulge...not from any willpower on my part, but because I got strep throat! Which I still have at the moment. But I do love me some good granola. Sounds really yummy--but how essential do you think the egg white is? We would want to make it vegan, but if it's critical, will pass on this one. 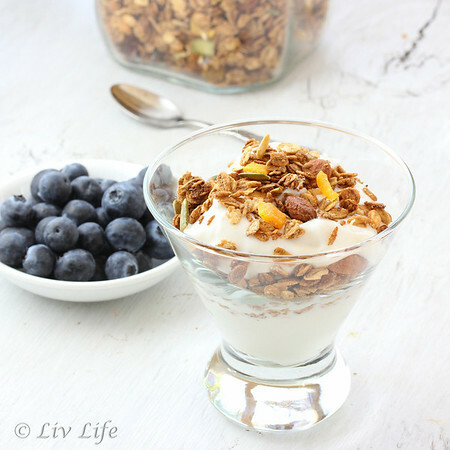 Can't wait to try your pumpkin granola! Janettheplanet... I made the recipe again tonight as an experiment! I substituted grape seed oil for the egg white and it worked beautifully. I use the egg white to cut down on fat, but the oil worked fine. I've also read of people using apple sauce... it's a thought!! I'll keep you posted!!! 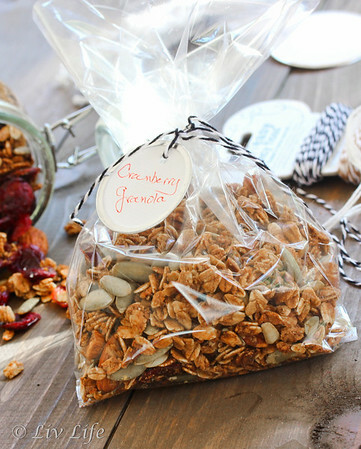 I love any kind of granola. This looks amazing!